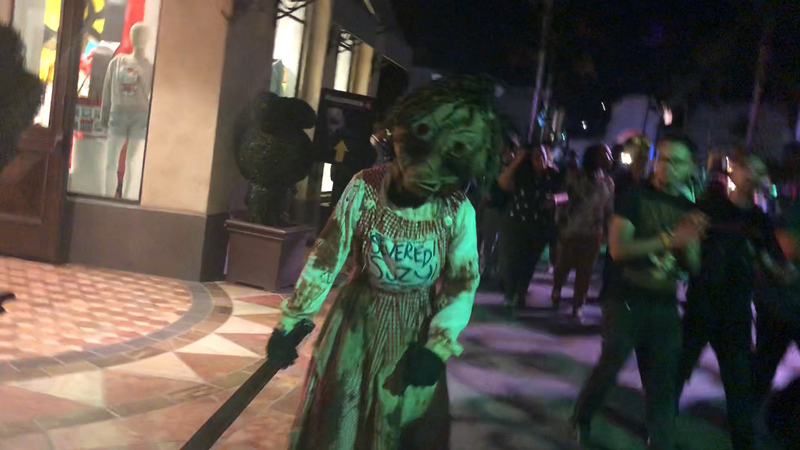 Halloween Horror Nights at Universal Studios Hollywood is and will always be the destination for horror fans, looking to step foot into their favorite films during the Halloween season. 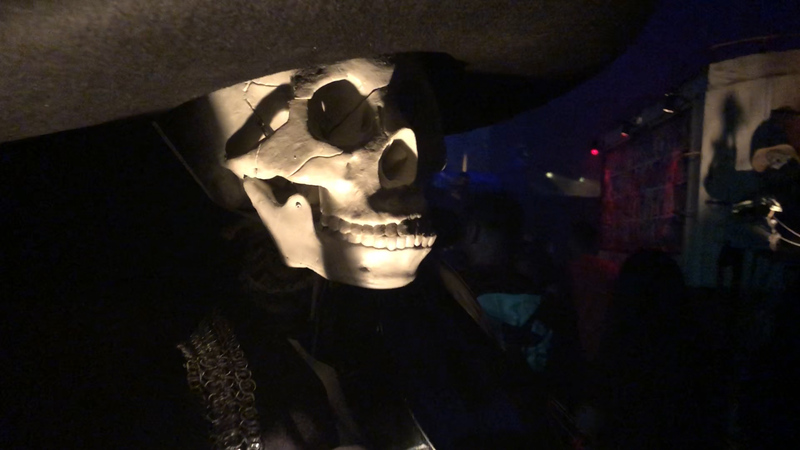 Without fail, Halloween Horror Nights delivers quality entertainment, big intellectual properties, and incredible detail in each and every one of their haunted attractions. Good luck paying attention to it all when getting scared! 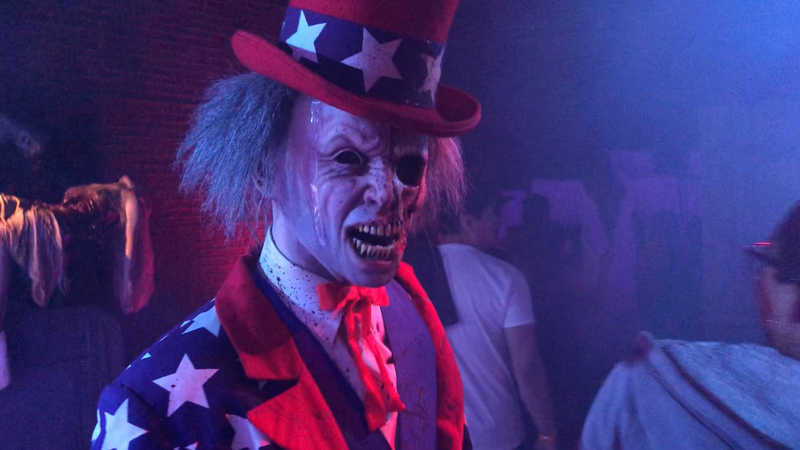 This year, Halloween Horror Nights had some pressure to deliver with the hype behind Stranger Things, Poltergeist and Trick R Treat coming to the event. We are happy to report that this year’s event is the strongest it’s EVER been. 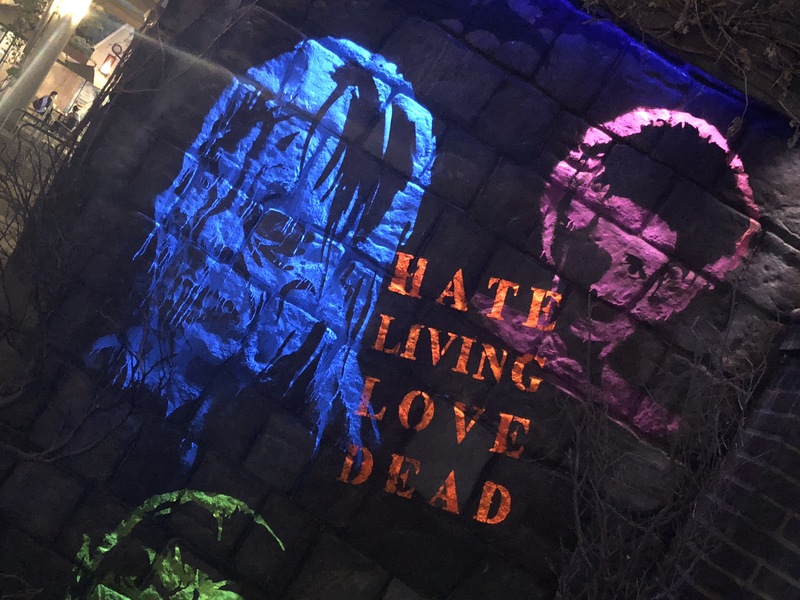 The varied themes found at this year’s Halloween Horror Nights allows for all horror fans to find something they love. 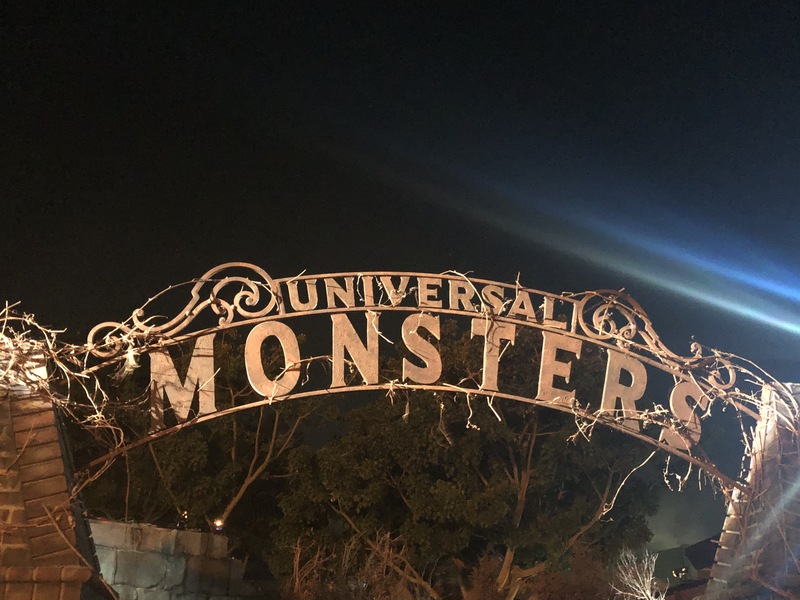 We recorded a FULL episode all about Horror Nights that you can listen to here! 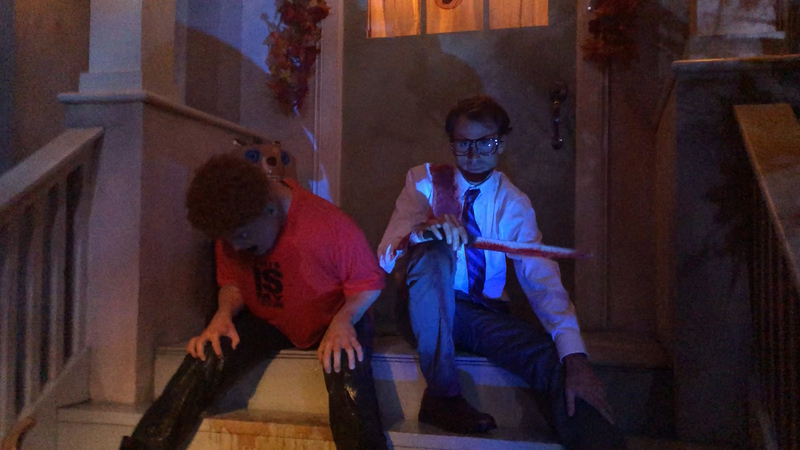 Stranger Things is the reason why people should come to Halloween Horror Nights. Simply put, this maze is beautiful. From the incredible set design, to the sound scape, Stranger Things delivered on all fronts for us! The Demogorgon never seemed scarier! Chris and John were able to take the show and condense it to accurately tell the story of Season 01 of Stranger Things. I think one of our favorite details of the maze was the room with all the Christmas lights! Another detail that I really liked was the addition of the 80’s music playing in the queue. It really got you in the mood for the show. Overall, the maze wasn’t over the top scary like Horror Nights mazes can be. 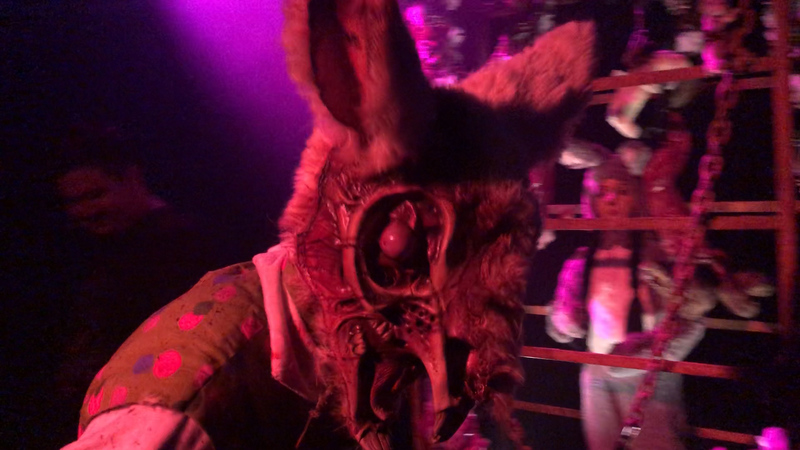 But we think it’s a major accomplishment to take a show, who’s genre isn’t strictly horror, and create an attraction that makes people scream like little babies. 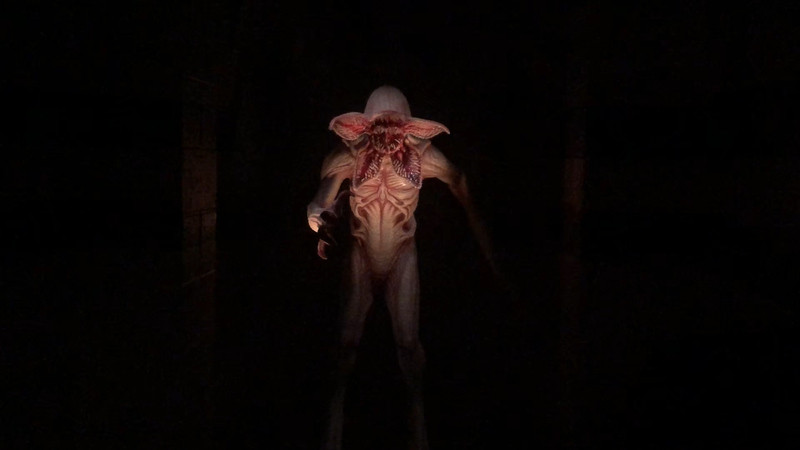 We personally found the Demogorgon scarier in this maze than we did in the show! We are huge Trick R Treat fans! Last year we had the opportunity to check out Universal Orlando Resort during Halloween Horror Nights. Which means we got to see their Trick R Treat scare zone. We were blown away to say the least. So when hearing that one of our favorite films was going to be at Universal Studios Hollywood, we cheered with joy. Although this maze was fun, we felt it lacked a bit in design and execution. Too many black hallways leading from one incredible set to another took us out of the mood when transitioning from scene to scene. 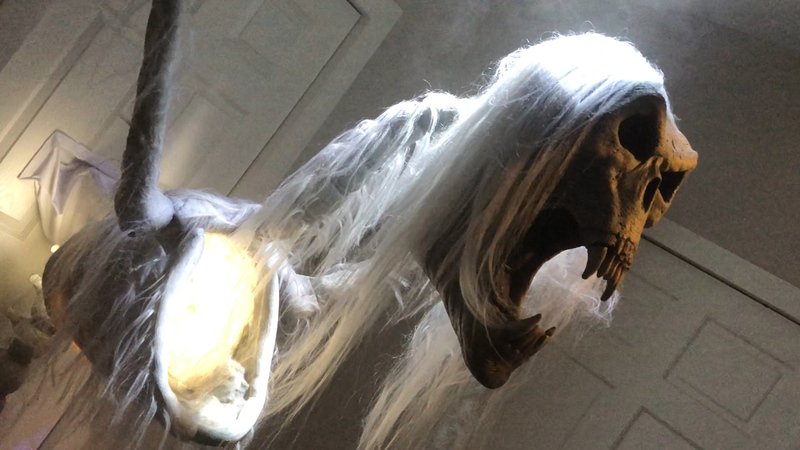 Although some of the scares were fun and effective, we would have loved to see them placed within the scenes instead of in the black corridors. That’s not saying scares didn’t take place within any of the set pieces. We are simply stating that a majority of the scares took place in the transitionary hallways. 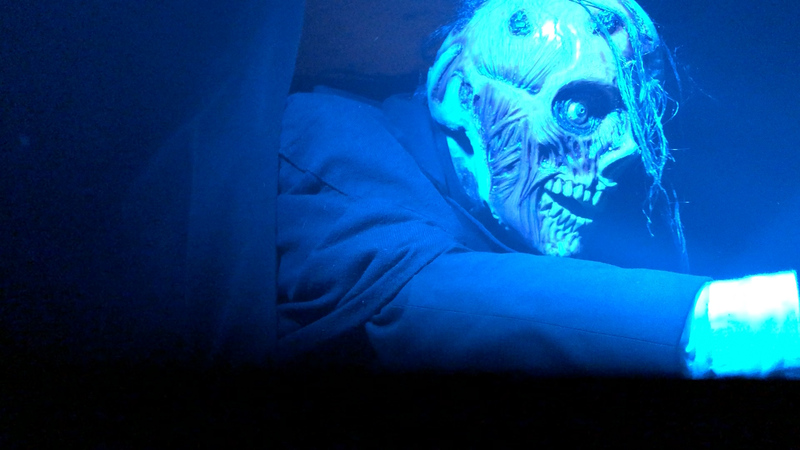 One of our favorite scares of the night came from this maze, specifically in the School Bus Massacre scene. To our left was a massive school bus, sinking into a pool of water. And from our left and right came two dead children! Nothing is creepier than dead children! 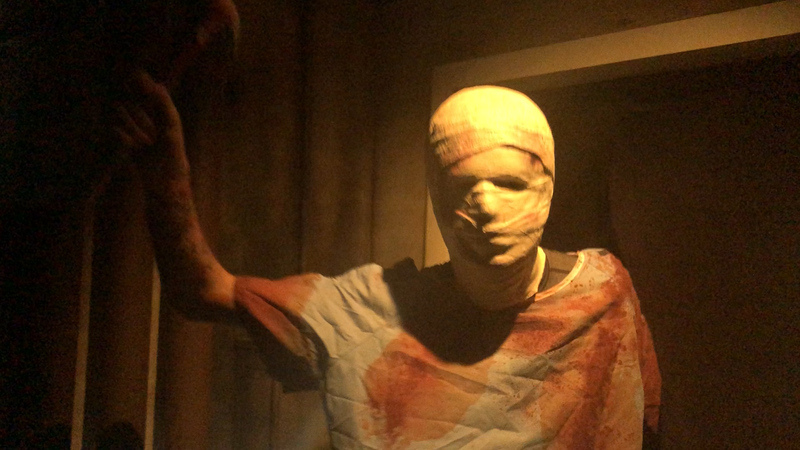 There is always one maze that everyone seems to dislike, and unfortunately it is The Horrors of Blumhouse; the sequel maze to last years maze of a similar name. It houses 2 OFFICIAL movies and 1 FAKE movie. The two real movies are Unfriended and Truth or Dare. 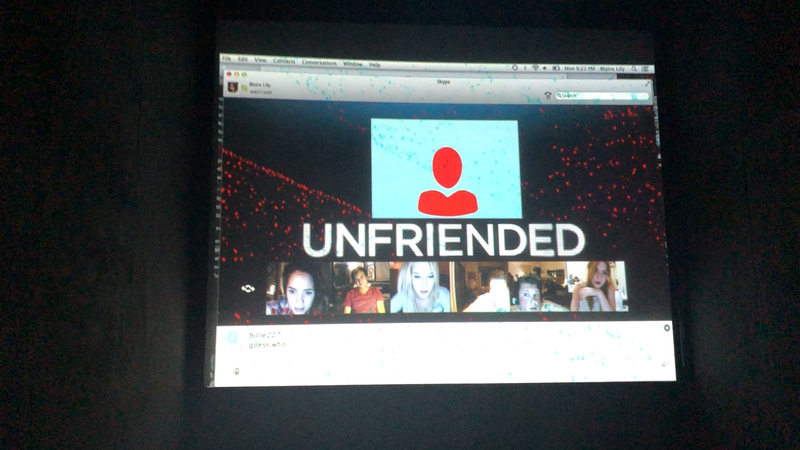 Although Unfriended is an interesting concept, I’m not sure it lends itself to a live attraction like this one. Even though we really enjoyed the monstrous form of the girl from the film! The scenes didn’t affect us the way we were hoping it would and the scares were ultimately predictable. It felt more passive than anything else. Truth or Dare was slightly more fun and appealing to the eye. The creepy smiles on the actors faces really put us on edge and we tried to avoid eye contact when ever possible. We even liked the scares a bit more in this section! 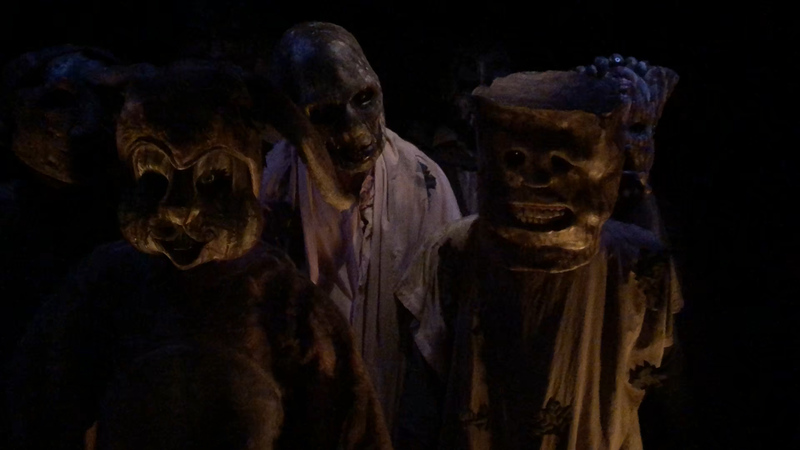 We also must give major kudos to the scare actors because their energy really helped this maze a lot. Lastly, The Girl! This is a fake movie based around the girl from the opening sequence of the Blumhouse movie bumpers. This confused us greatly, even after being told what it was all about. We don’t think it was too smart to include an unknown IP within a house filled with very well known IP’s. I was more concerned with trying to figure it all out, than being scared. 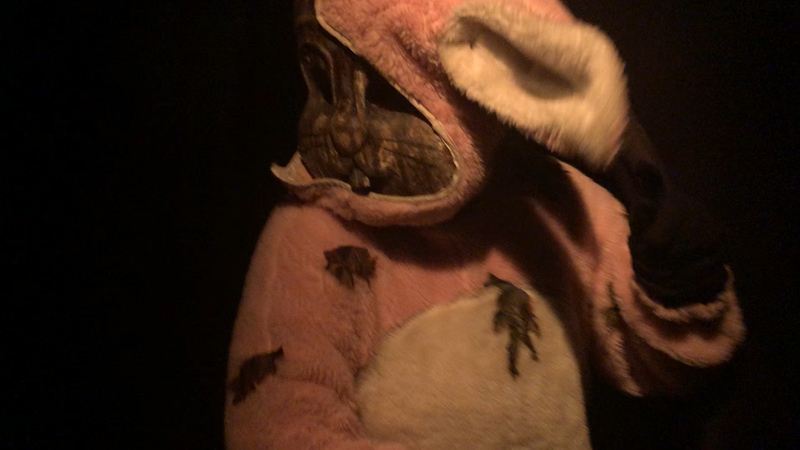 Although we were not huge fans of this film, we loved the incarnation at Horror Nights. 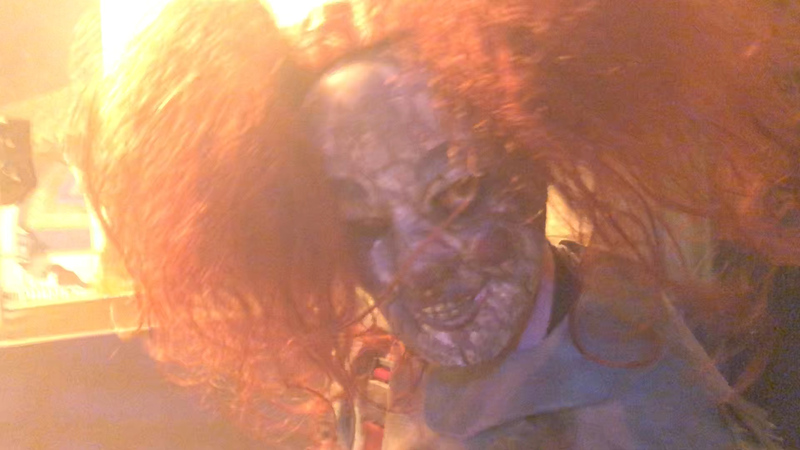 The scares were plentiful, the scenes were fun, and the talent was killing it! No pun intended of course! The high energy of the actors really helped contribute to the chaotic nature of the maze. The sound design helped a lot in that department as well. When transitioning from scene to scene, you would hear screaming, gun shots, and sirens. All noises on a normal basis would put anyone on high alert. Not many mazes make us feel on edge, but this one was able to make us peek around each and every corner hoping to avoid being PURGED! 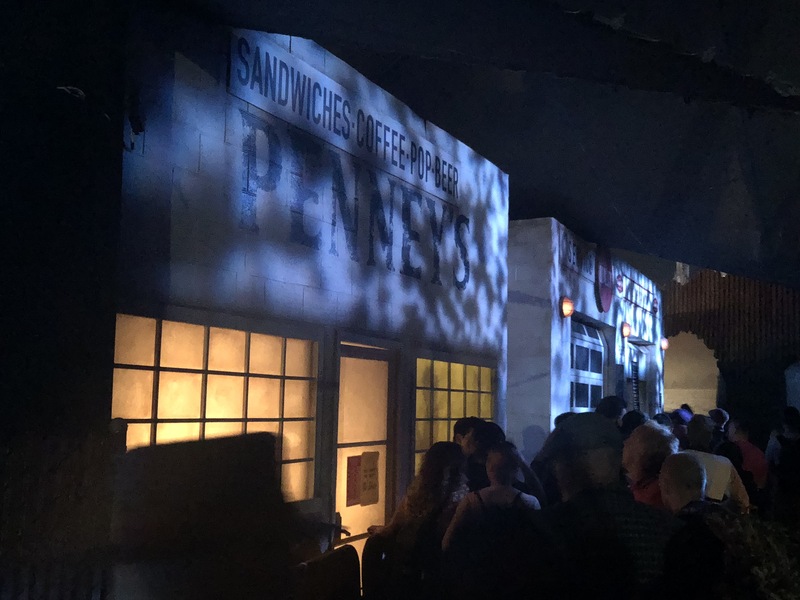 One of our favorite mazes of the night; for those who are fans of the film and those who just love Horror Nights, Poltergeist delivered on multiple levels! First we must address the stunning facade. 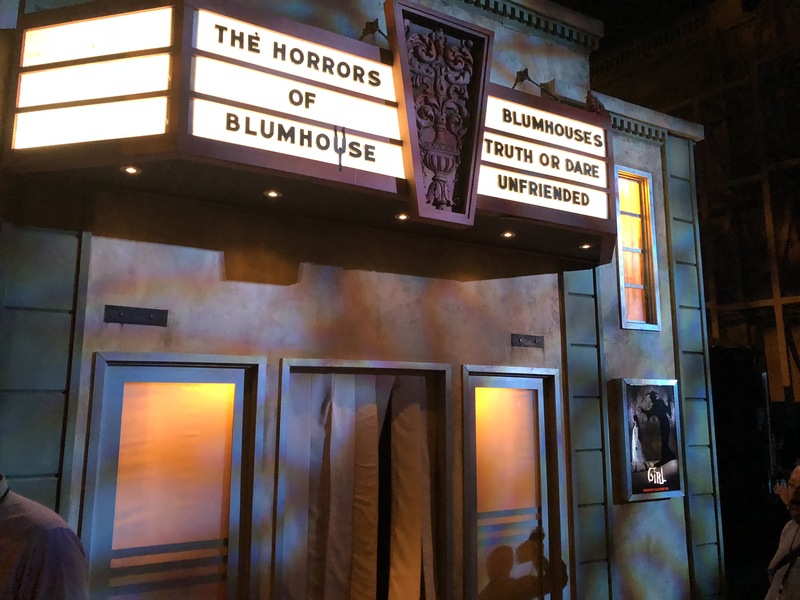 Although the facade resembles just a normal suburban house, it’s one of the spectacular identifying traits of Horror Nights. Creating (almost) to scale recreations of locations from films to help immerse guests into those worlds. Poltergeist was able to make us feel as though we were entering a house in Cuesta Verde. With each room, we were transported back to when we first saw Poltergeist. Reliving the horror that fell upon us after our first viewing of the film. 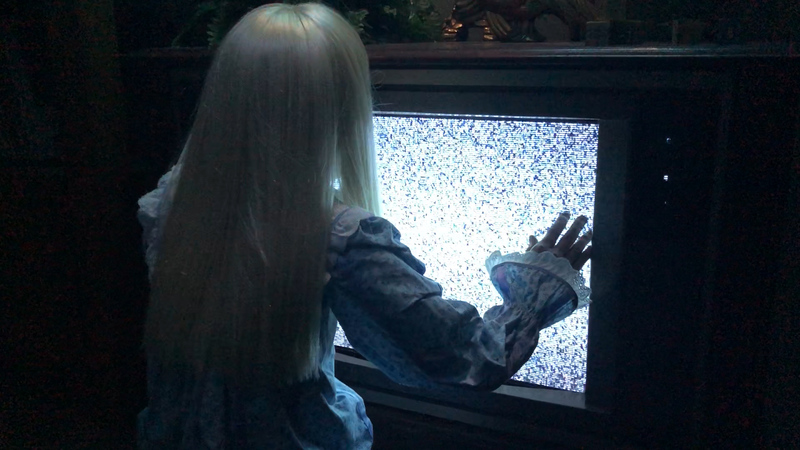 From the Clown toy, the tree, the crawling meat and the man tearing his face apart; Poltergeist is a perfect example of how Horror Nights can deliver on multiple levels. We were completely enamored with the scare actor portraying the clown in one of the scenes. His/her mannerisms were completely perfect! We never wanted to look away, we just wanted to stay in that room and watch them do their thing. A major memorable moment for us was with the man tearing his face apart. At one point he triggers his scare and pops out. But when he triggered his scare, he was already nose to nose with me! This made me scream louder than I did in any other maze of the night. If someone asked us what not to miss at this years event, this maze would make our list! 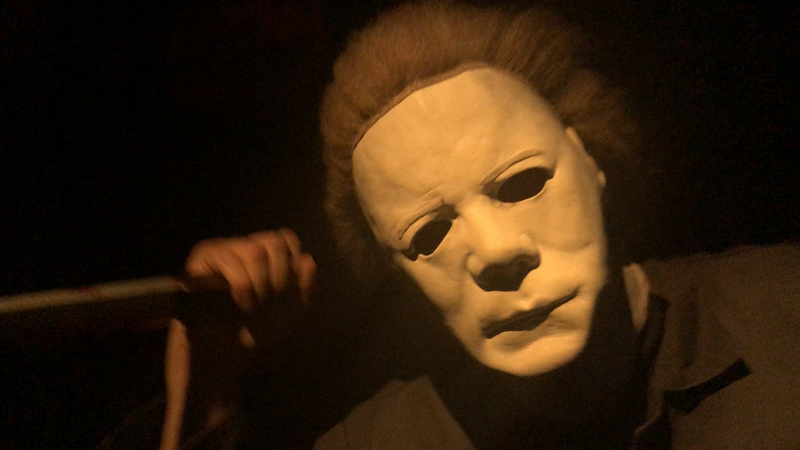 Michael Myers has returned to Haddonfield….errr Halloween Horror Nights. Skipping over Halloween 3: Seasons of the Witch, Murdy and his crew tackled the divisive Halloween 4: The Return of Michael Myers. Like the many Halloween mazes before it, Halloween 4 is jam-packed full of wonderful scares, fun scenes with Doctor Loomis, and a great nod to Halloween 3. We had two stand out moments form this maze. One being the scene of Doctor Loomis shooting at Michael while we have to walk directly into his path only to get a great jump scare. The other being the electrocution scene. wonderfully unnerving and disorienting, and immediately followed by another great scare. Outside of Universal Monsters, this maze felt like it had the most scares out of any of the houses; let alone any houses in recent memory! Although out of the 3 different years of Halloween mazes at Horror Nights. This one falls to the bottom of the list. This by no means makes this maze bad! In fact this maze was one of the best at the event! It just had huge shoes to fill with regards to its predecessors. 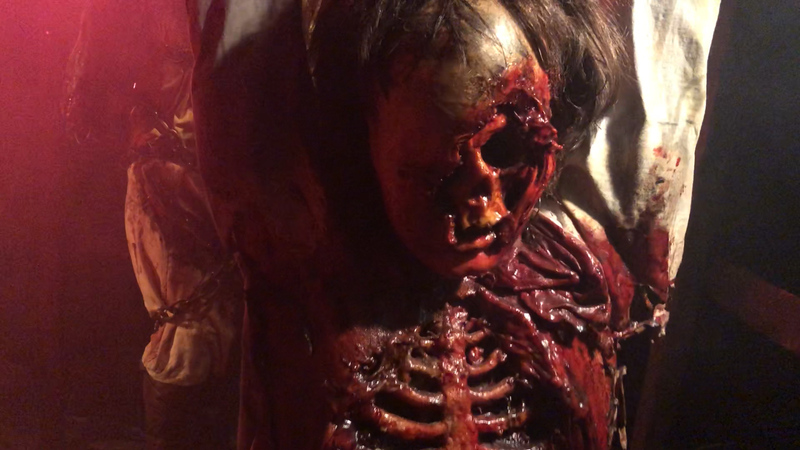 In past years, the Halloween mazes have ended in this cerebral style climax that reinforces the idea of “you can’t kill the boogeyman” which we absolutely love. I think it was the only thing missing from this maze and kept it from being another huge classic for Horror Nights. 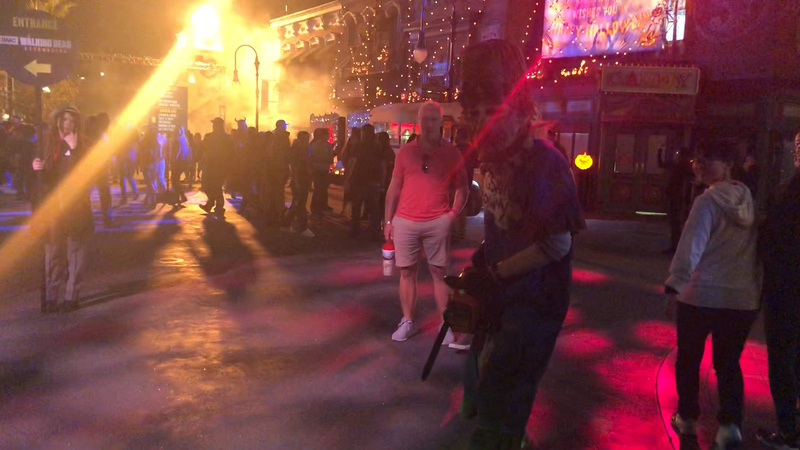 Other than that one small critique, we don’t think you can go wrong with the Halloween franchise as a whole for Horror Nights. 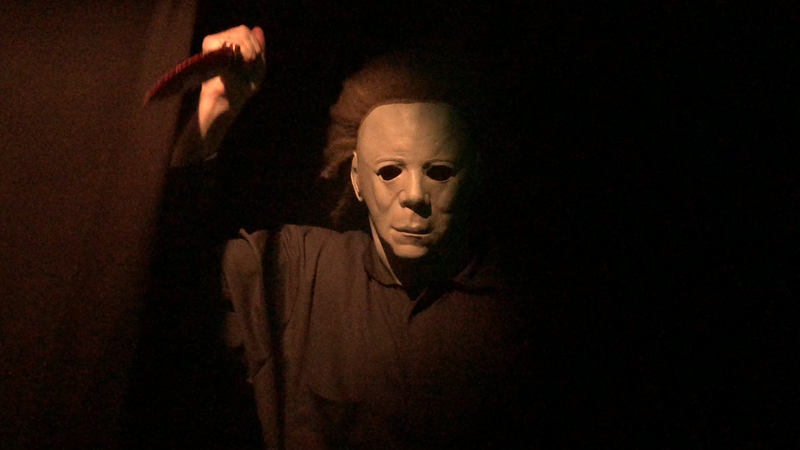 We are excited to see Michael Myers return for the future iterations of the films. Call us when they get to Halloween: Resurrection so we can come see the actor playing Busta Rhymes! 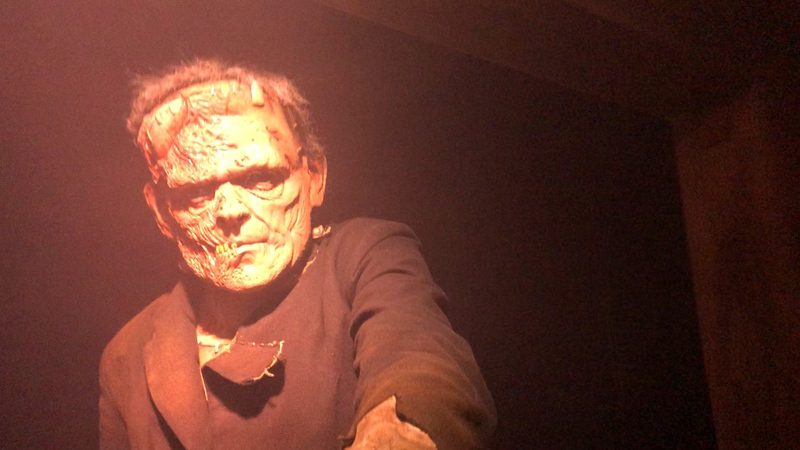 Universal Monsters is the reason we will be coming to Horror Nights multiple times this Halloween season. Beautifully crafted, perfect scares and wonderfully grotesque representations of the classic Universal Monsters. 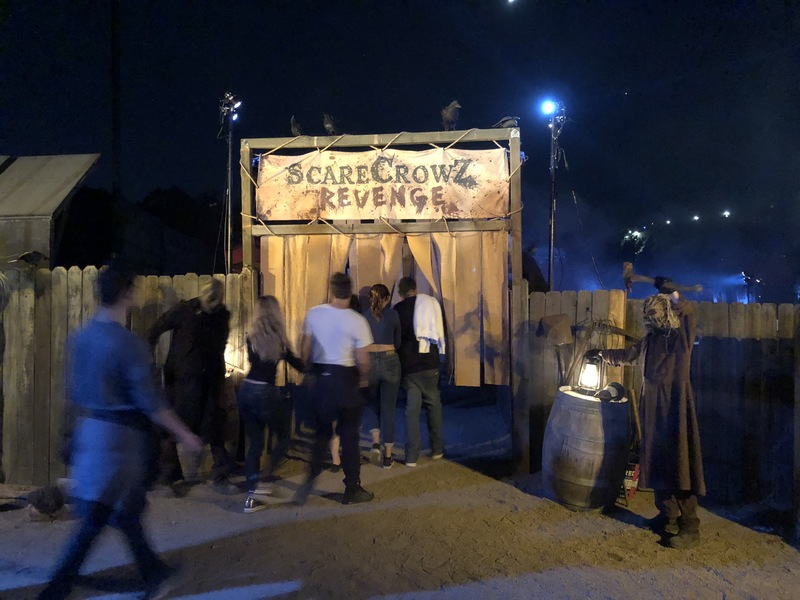 We were so taken aback by this maze that when we entered, we completely forgot about the outside world for a brief moment and were utterly disappointed that our experience didn’t last longer than the brief 3 minutes it took to experience this attraction. 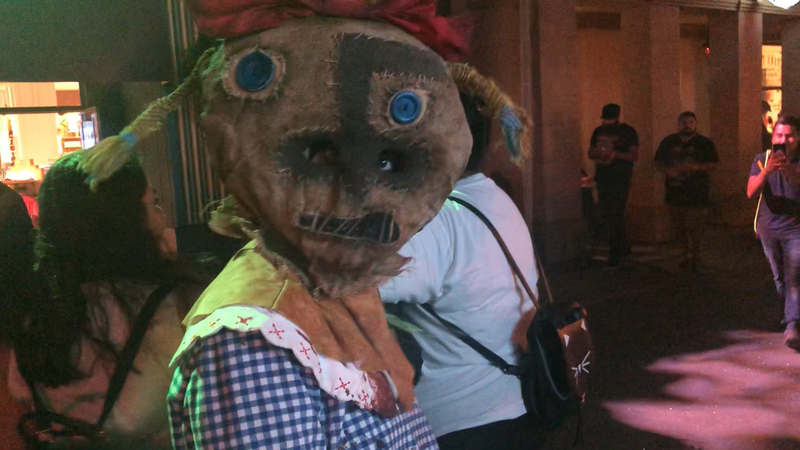 This maze was able to do something that no other maze in Horror Nights history was able to do. And that was make me feel emotions. Not just that of being scared, but genuine emotions. The scene we are talking about is a scene with Frankenstein’s Monster. We enter a room and The Monster is holding the lifeless corpse of a little girl (just like the movie) while audio plays dialogue saying “Friend?” Our hearts sank, but that feeling didn’t last too long since the Wolfman jumped from around the corner and nearly made us fall to our knees. We cannot say enough good things about this maze and think it’s absolutely perfect in every way. If anything, this should be a bigger example of how Hollywood should embrace more original content instead of solely relying on films. Although the Universal monsters aren’t original concepts, the design, the concept and the executions were entirely original. 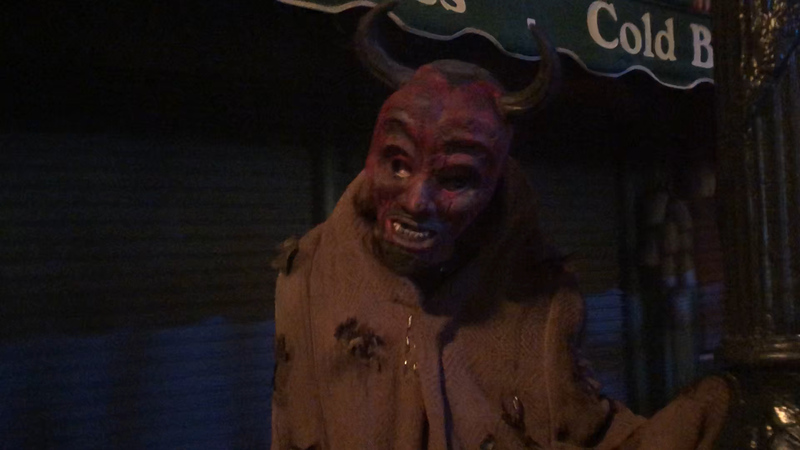 Hollywood Harry is back terrorizing guests that dare step foot on the Universal Studios Backlot. One of our favorites from years past, we were excited to see this character come back to the event. This time around, Hollywood Harry is showing us his DREADtime stories! Each part of the Terror Tram is another part of the story. We actually really loved this concept because it actually helped keep our attention the whole way through. The promise of something new and enticing just around the corner. 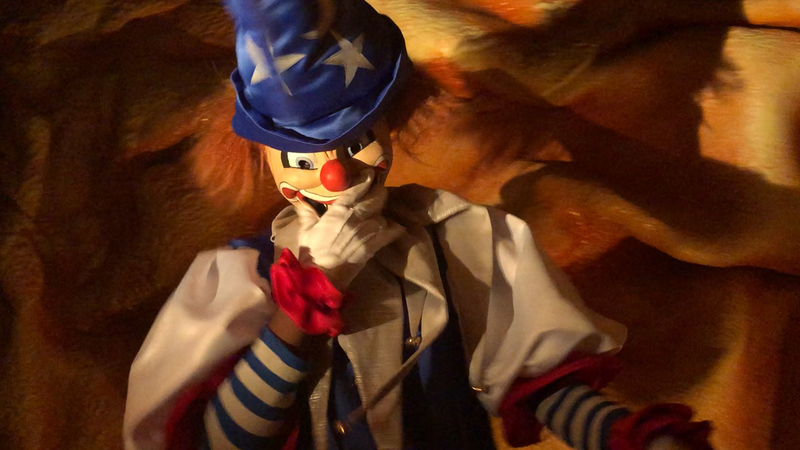 Something that Universal has done in recent years, that we think helps keep the Terror Tram fresh and scary is the addition of major sets and props. Instead of having a large open space, which isn’t all that scary. They have created multiple opportunities for their scare actors to plan out great scares. We think that is the major problem that plagues the Terror Tram. There is always so much open space that sometimes it’s hard to get scared. Especially for those of us that go to these types of events multiple times. I would never want to see Universal lose the Terror Tram from the line up. 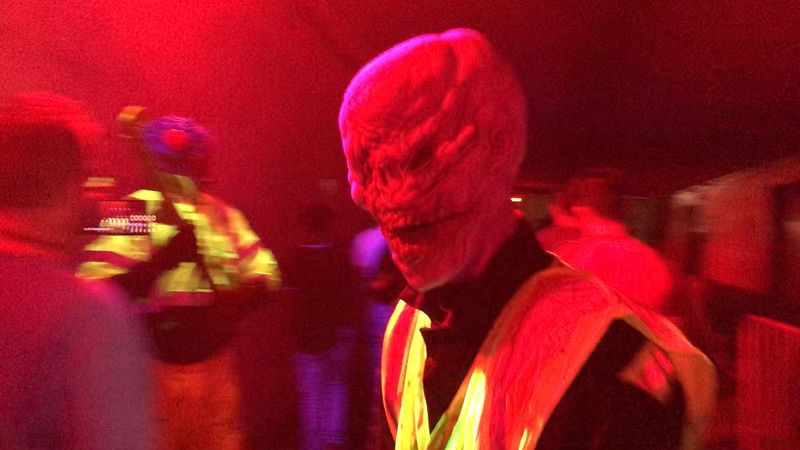 It is one of the major components that helps set this event apart from other Horror Nights events around the globe. 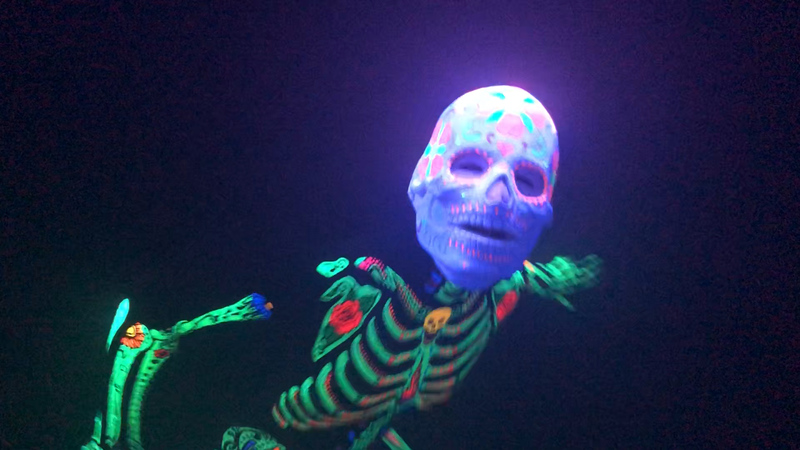 We just think it needs a bit more attention than most of the other attractions (because it is no doubt difficult) and it seems as though they are changing it up year by year trying to improve upon it’s short comings. But we think this year is a major step in the right direction for this unique attraction. Overall, We would love to see the Terror Tram continue to grow and change at Horror Nights. We also wouldn’t mind seeing Hollywood Harry return to the backlot once again next year. But maybe in a new iteration of the experience. 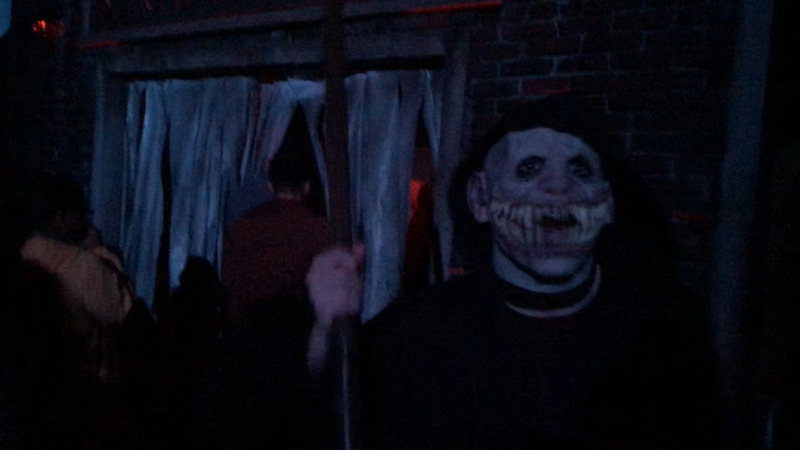 This was our favorite scare zone of the night! 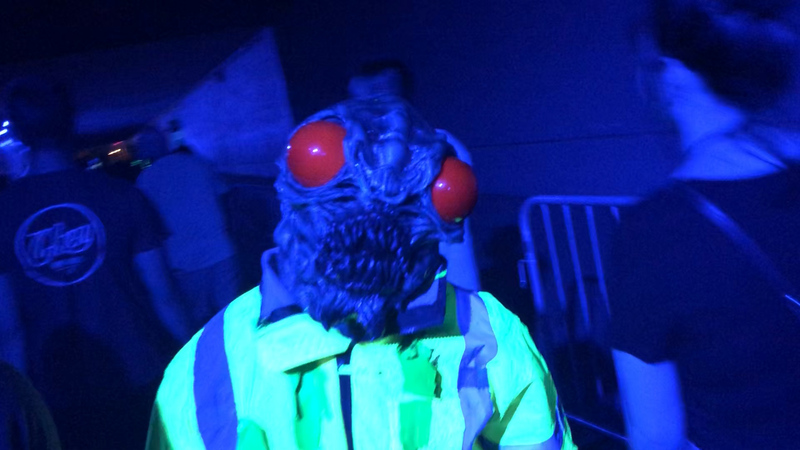 High energy, intense EDM music, populated with monsters and extremely disorienting lights. 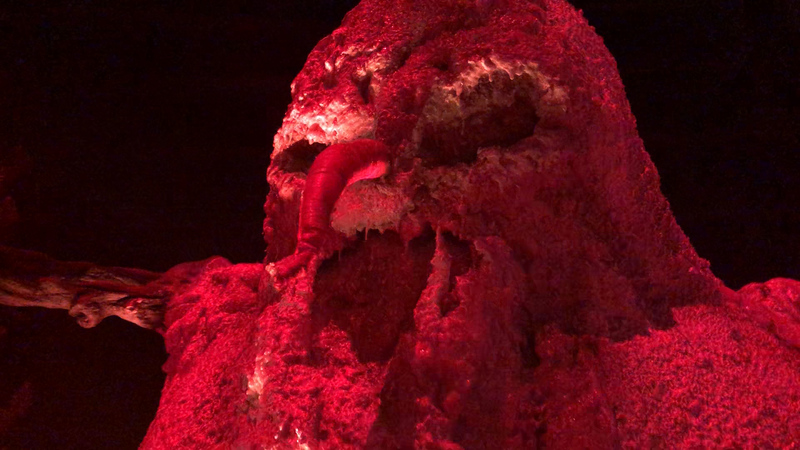 This scare zone is awesome! No matter how many times we walked through, we were scared at least a few times just by the sheer frantic nature of the monsters. Seeming to move faster than normal humans (because of the strobe lights). It really put us on edge and that is what we want from a scare zone! Also rocking out to the music is fun as well. THIS NEEDS TO BE THE ENTIRE BACKLOT! This is such a fun and scary concept it deserves to be expanded upon. Or even be the entire concept for all the scare zones! You could have each holiday occupy a different area of the park, creating a very cohesive experience. 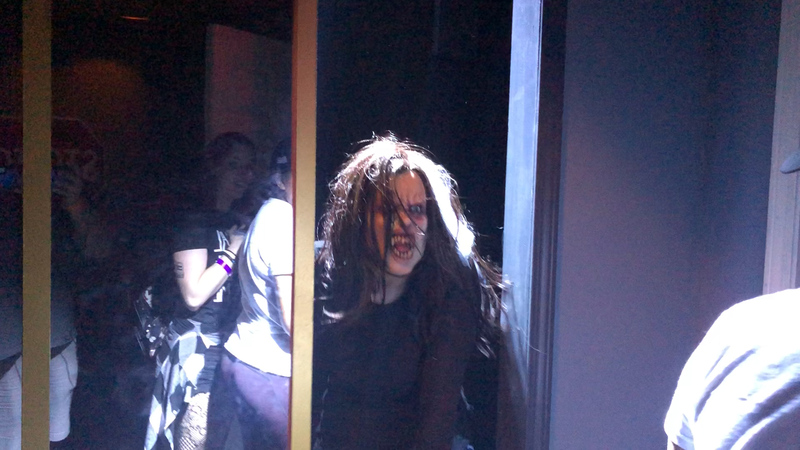 The “Semi-maze” layout for this scare zone just doesn’t work well, especially at Halloween Horror Nights. With the mass of humanity coming through the gates every night, it’s hard to experience that scare zone and actually get scared. It turns more into a maze style conga line experience. It makes it hard to walk or even have fun because you have people up against you and pushing you away because they are scared of the demented turkey man coming after them. 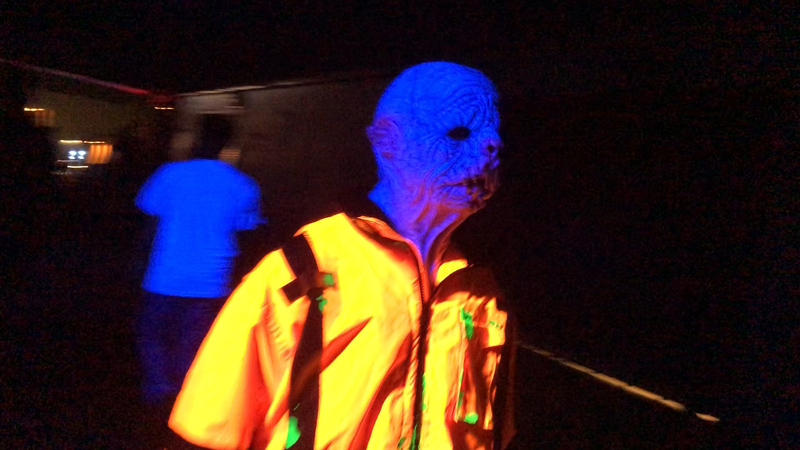 We are completely conflicted on this scare zone because it has so much potential. 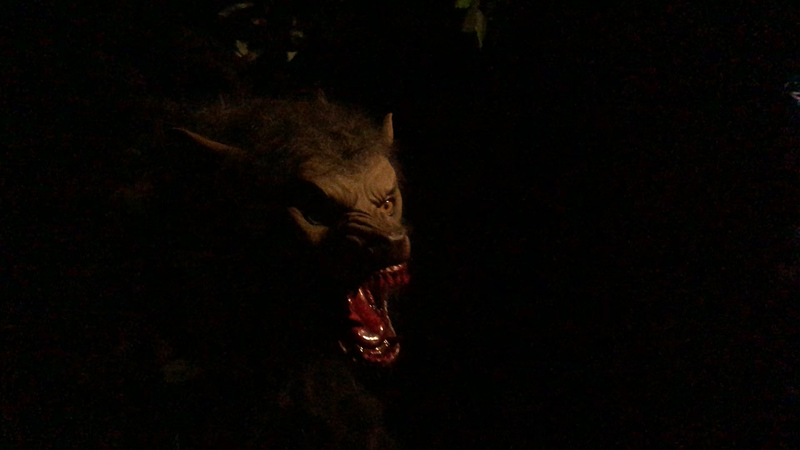 If this scare zone had been on the lower lot or even the upper lot, we wouldn’t even be having a discussion about it! This theme is just so much damn fun it deserves a larger footprint. 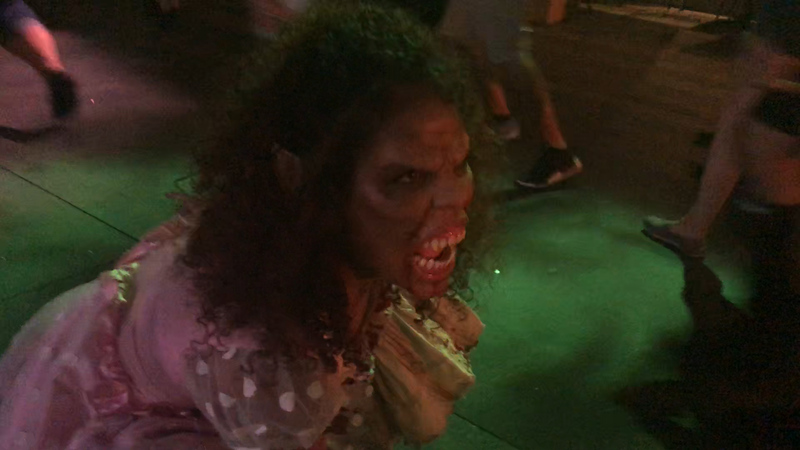 Every years, Halloween Horror Nights seems to have the best themes for the entry scare zone of the park. 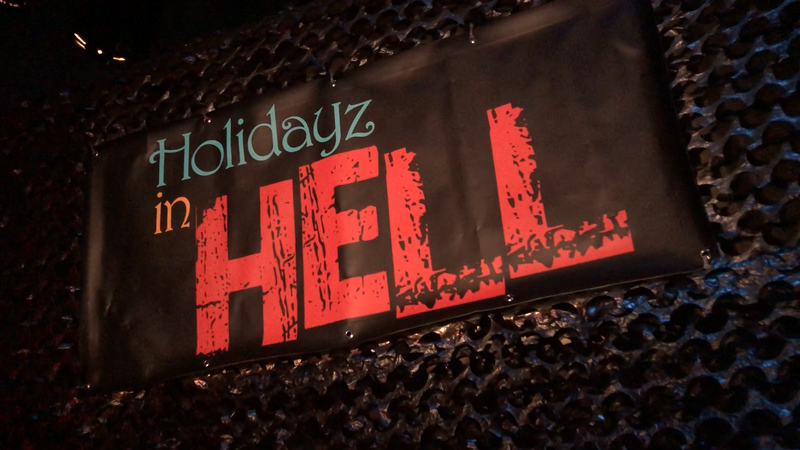 This year is no exception because Hell’s Harvest is intense, bizarre, and scary and the perfect beginning to the night! I think we were slightly confused by the character design for the monsters, but didn’t think about it too much since we were cowering in fear! 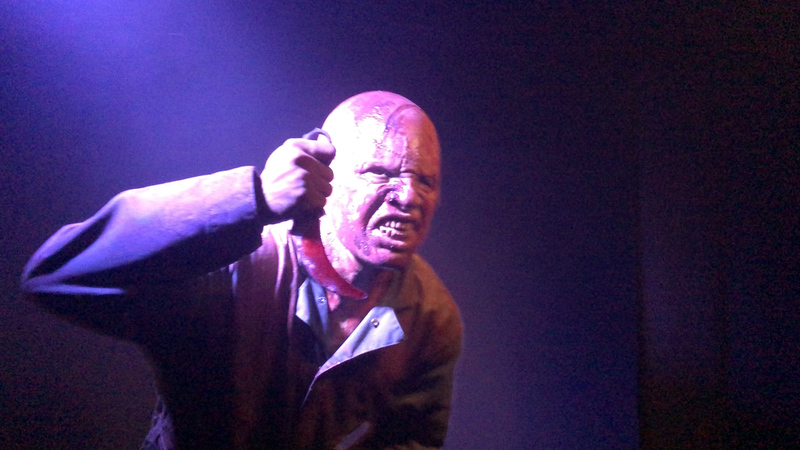 These chainsaw wielding maniacs are insane and fun! This is also the location of a Horror Nights tradition, Chainsaw Chase Out. 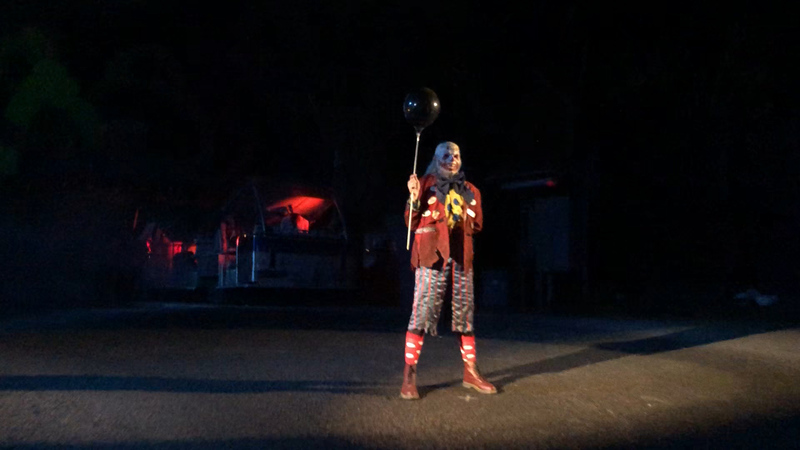 At the end of each night, all the scare actors with chainsaws from throughout the park gather here. 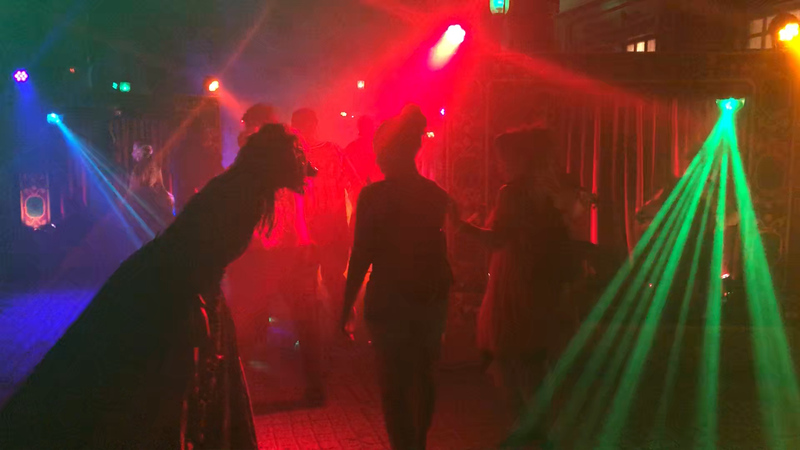 They all get pumped up to the music and when the base drops…THEY ALL REV UP THEIR CHAINSAWS. It never ceases to entertain me when unsuspecting guests are walking for the exit and get caught in the middle of this craziness. 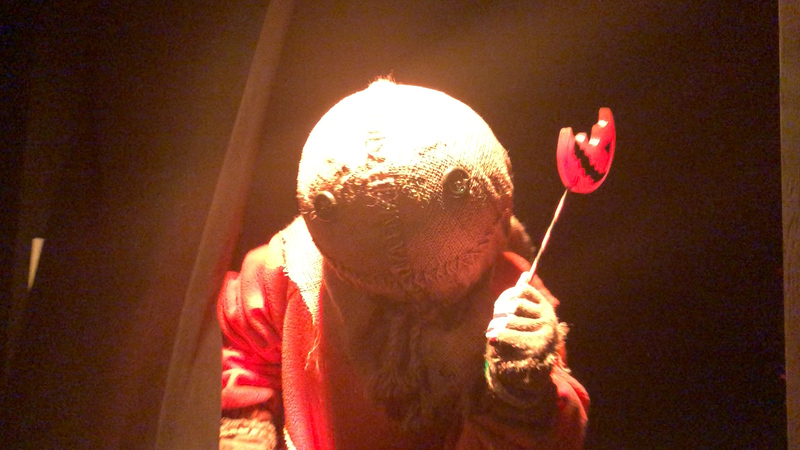 Right up against Hell’s Harvest is Trick R Treat. This scare zone takes all the characters from the film and places them out in the open together to scare the living daylights out of guests. We love this simply based on the characters and the huge fire cannons that go off to the beat of the music. Really makes for a chaotic environment. We do really think this scare zone should have been on the lower lot instead of the upper lot. It could set up the maze perfectly! Amazing in concept, poor in execution. It’s just too small! 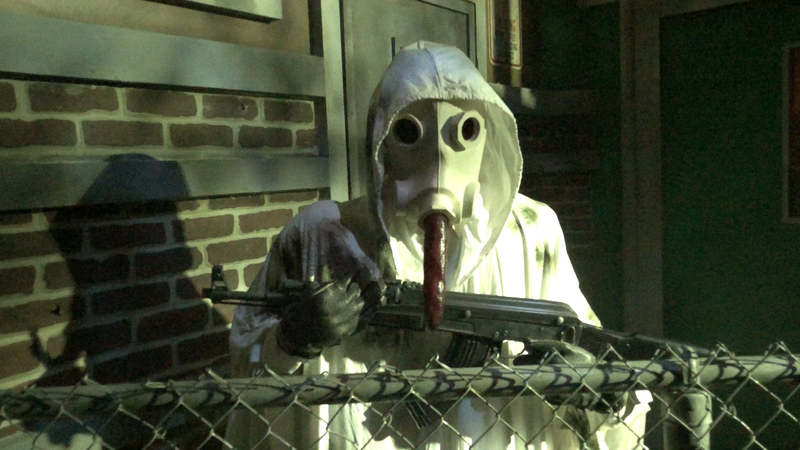 Horror Nights seems to create some of the most imaginative scare zones in the biz, but they aren’t big enough. 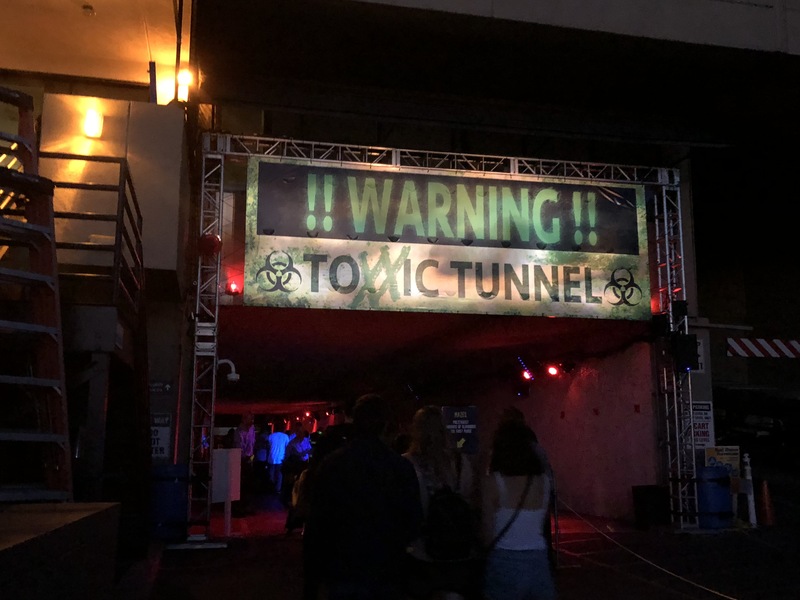 I understand that with the major limitations placed on the event because of Baker Street construction, the size and flow of the scare zone was limited, but at-least make it accessible without having to go through the Universal Monsters maze. . 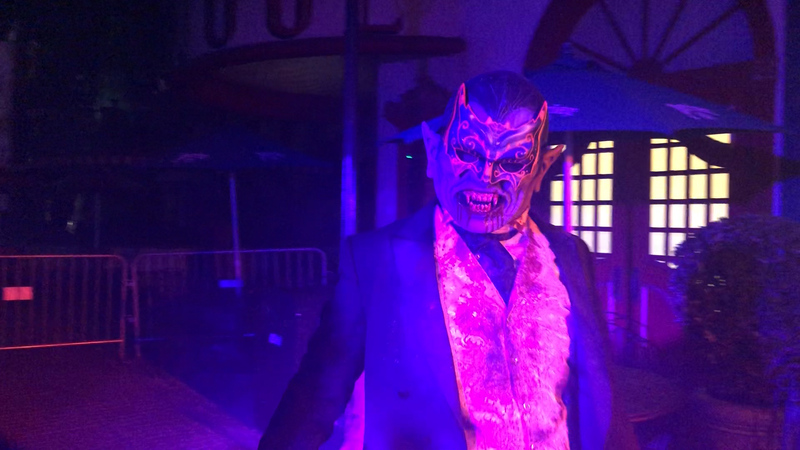 If you did happen to go through the Universal Monsters maze, you will know how absolutely cool the Monster Masquerade is as a scare zone! 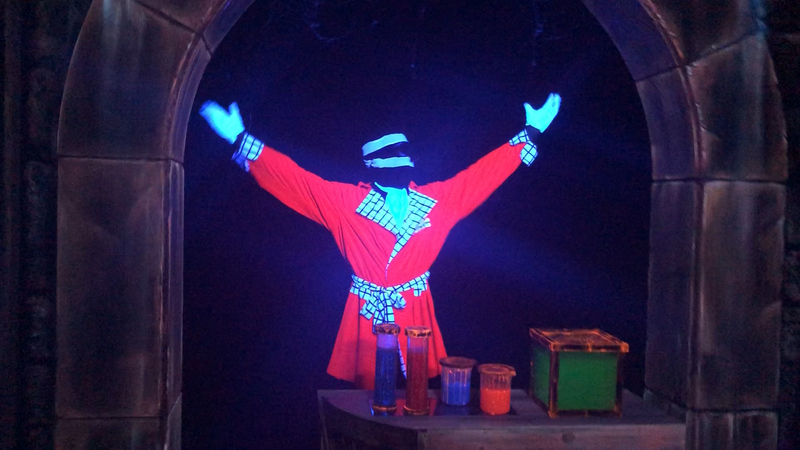 Each character acting differently, specifically tailoring the way they walk and interact with guests based on the characters they are portraying. It is always unnerving when Frankenstein’s Monster comes running at you with his arms outreach coming straight for your throat! 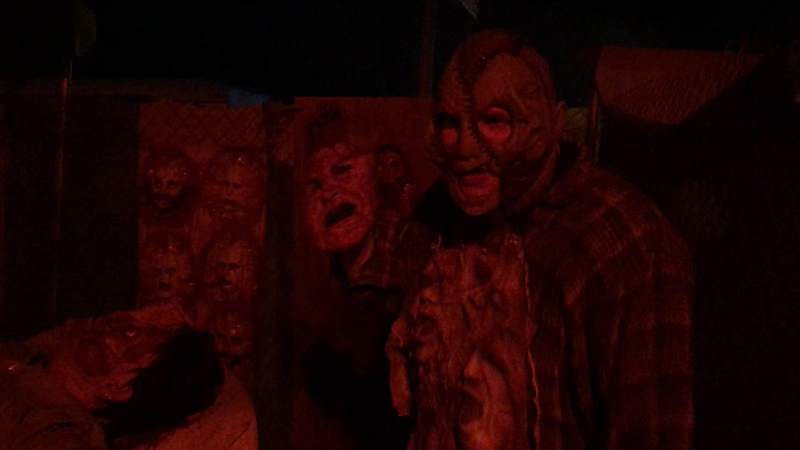 Great energy, great scare actors and great masks. They just deserve more space to play. With all that being said, I do think that because of the small footprint, the area felt highly populated. Which meant you couldn’t take 3 steps without running into another monster. 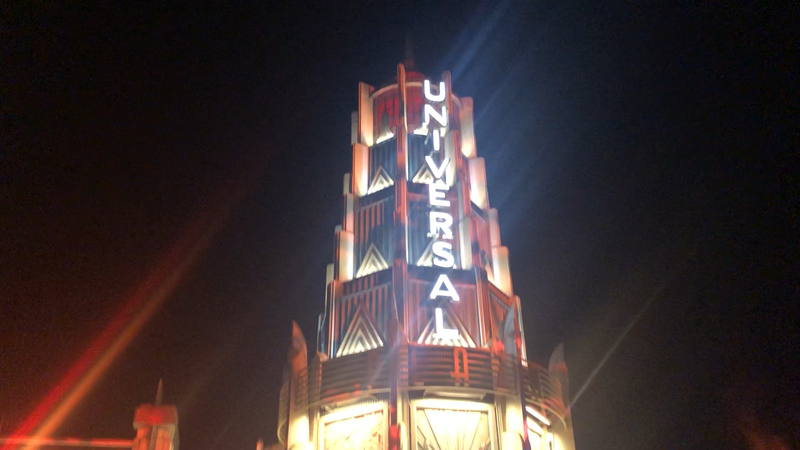 Universal Studios Hollywood always seems to be in a constant state of construction and improvement, and this event happens to pay the price a lot of the time. This year, with the removal of Baker Street, the upper lot felt somewhat constricted. With that being said, I think there is a TON of under utilized space within the park for scare zones. 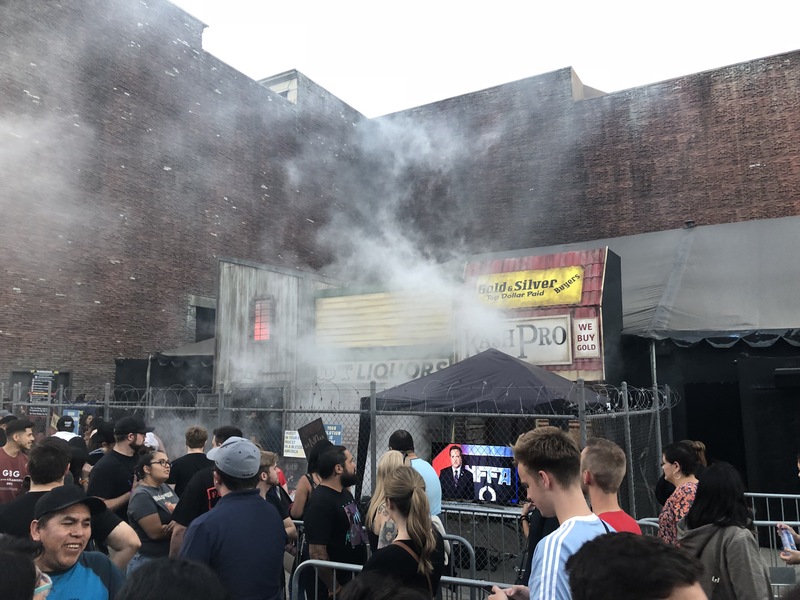 Over the past few years, we haven’t seen a scare zone in Springfield or the Lower Lot! 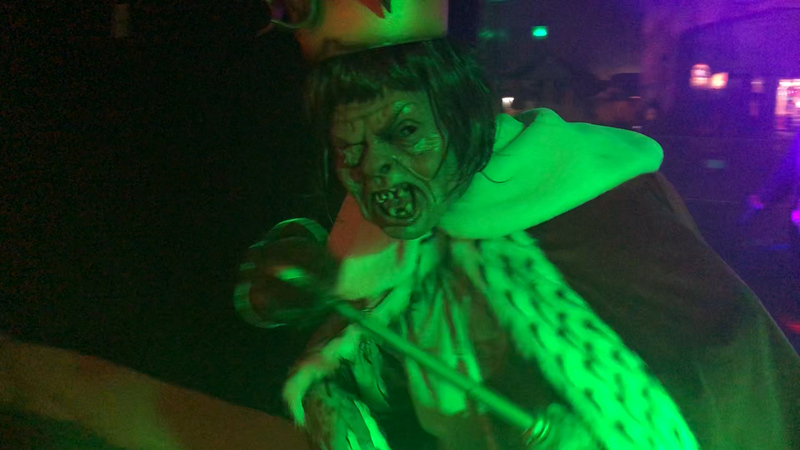 We would absolutely love to see either more scare zones added or an adjustment to where these scare zones are located. Something to truly make it feel as though there is nowhere to hide from these monsters. Right now, you find yourself un-scared more often than scared when walking around the park. On another note, the issue of black transitionary hallways still presents itself within some mazes. At times I found the amount of black hallways outnumbering the number of highly themed sets. 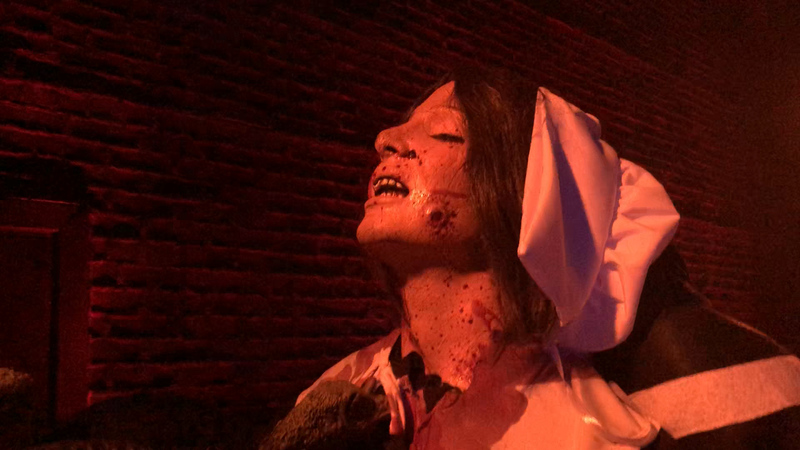 Although unsure of why this the case, we would really love to see these hallways dwindle in numbers and see Halloween Horror Nights lean more into the scares taking place within the sets rather than jump scares within these black hallways. With that being said, the sets you do see at this event are second to none! They are incredible and will make your jaw drop! We just want more of that! When dealing with such a high caliber event, it is easy to find the few things that could use some improvement. 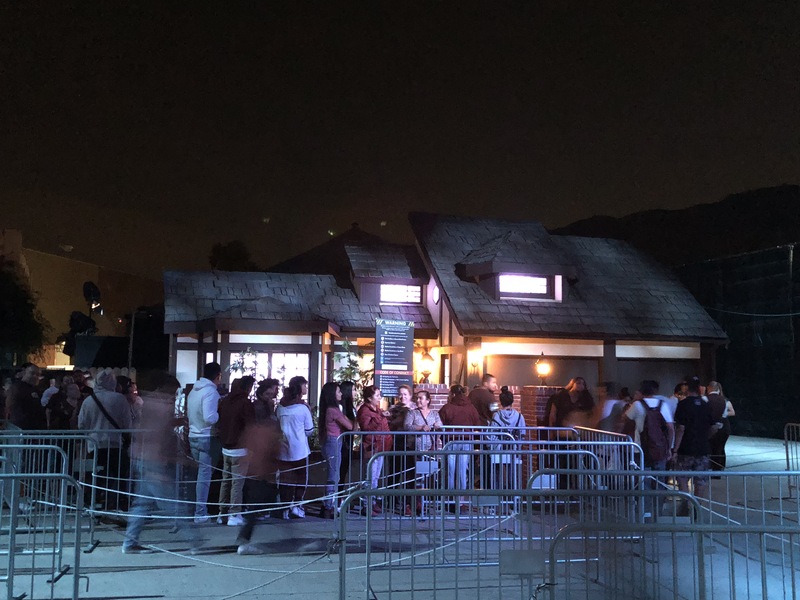 At the end of the day, Halloween Horror Nights at Universal Studios Hollywood has put out an extremely impressive event! 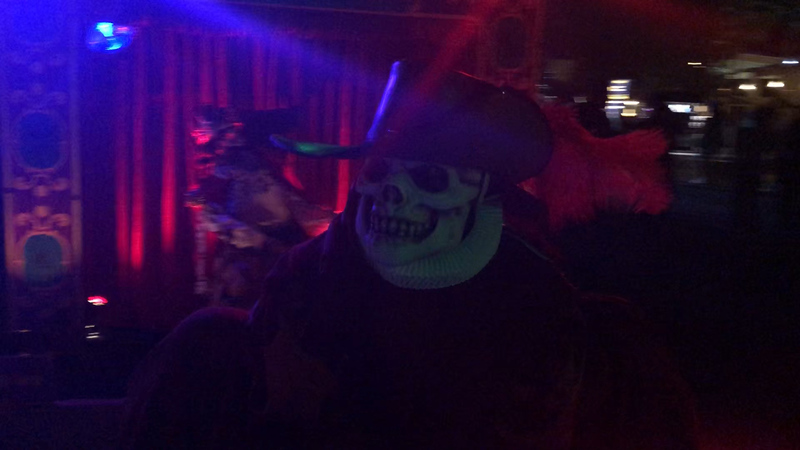 With over the top scares, great intellectual properties and wonderful concepts for scare zones; this is the year to go if you’ve never been! 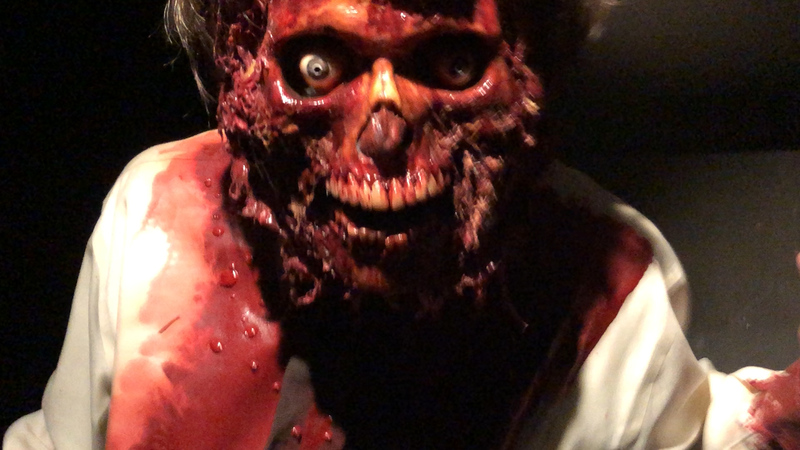 Horror fans from all around can rest assured that Halloween Horror Nights is the only choice when wanting to step foot into the movies and live out your favorite horror films. You will not find an event like this anywhere else on the west coast and it definitely shouldn’t be missed in 2018!